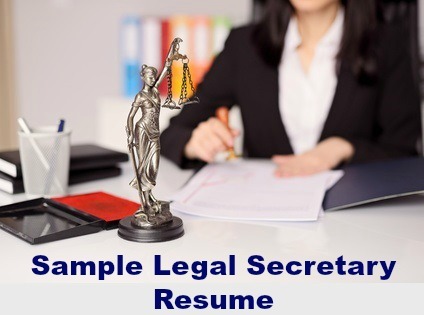 Sample legal secretary resume to customize for your own use. A persuasive resume is essential to getting your application noticed and securing the job interview. Legal secretaries are expected to demonstrate a range of competencies in their areas of specialization. 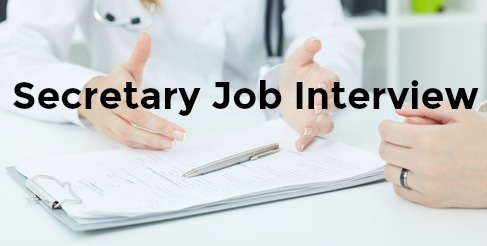 Highlight your own skills, strengths and abilities as they relate directly to the legal secretary job opportunity. This well-structured resume will help you to organize your own job information to best present your qualifications for the legal secretary job. Seeking a position as an legal secretary in a challenging work environment. A legal secretary position in a firm that recognizes hard work and commitment as key to successful job performance. To secure the position of legal secretary in a corporate legal department. Seven years experience as a legal secretary in a demanding environment. Proven strong interpersonal and communication skills coupled with the ability to prioritize and manage multiple complex responsibilities efficiently and accurately. An independent and self motivated professional with solid knowledge of legal procedures. A self motivated professional with proven research skills and strict attention to detail. Demonstrated the use of accumulated knowledge and experience to exercise independent judgment and make valid decisions. Strong computer skills and outstanding communication skills. A resourceful and reliable team member. A well qualified legal secretary with over eight years diverse experience in a large law firm. Proven track record in completing assignments independently, meeting deadlines efficiently, and producing high quality work. Strong administrative and legal practice skills and knowledge. A hard working self-starter committed to superior client and attorney service. Insert your own job information into the structure of this sample legal secretary resume. 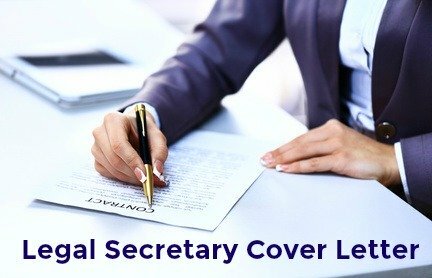 Use the comprehensive legal secretary job description to help you. Craft a winning legal secretary cover letter to send with your resume.